Why: Okay, it might be a tad presumptuous to take on three books in one review, however due to some difficult staffing decisions here at Two Bibliomaniacs, we must boldly confront this challenge. We should really begin by saying that The Hunger Games trilogy lived up to the hype (The Hunger Games, Catching Fire, and Mockingjay). This statement should not be taken lightly considering the torrid love affair that the blogosphere has enjoyed with these novels. The series really is YA dystopian fiction at its best. Imagine a country with absolute government oppression, where the population is split into 12-ish districts and children are pitted against one another in an annual death match. Such is the nightmarish reality for Katniss Everdeen and everyone else living in bizarro North America. In one of its many displays of power, the Capital hosts an annual televised event where 1 girl and 1 boy are randomly chosen to participate in the ultimate fight for survival. With these brutal games as the backdrop Katniss’s personal struggle quickly becomes even more significant than she could have ever imagined. To be honest, it took us a few days before we could pass any final judgment on this series and we still don’t know how to feel about some components of the ending. 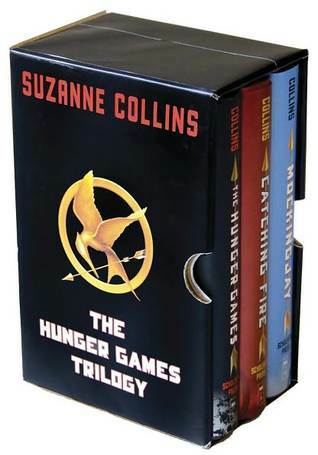 The subject matter in The Hunger Games is weighty and pleasantly thought provoking. There’s love, action, force-fields, and hovercrafts. Yep, we said hovercrafts... The characters were also very complex, forcing us to wrestle with many of their choices throughout the series. Yet, every time we questioned Katniss (which was rather frequently) we were reminded that she was forced into an arena and left to brutally kill or be killed by her peers. It wasn’t hard to give her and a few of the other characters (Haymitch) a free pass. Alright, who’s ready to rebel against the Capital with us? Fine, but we’re still in the mood to rebel against something... Got it! Heathcliff from Wuthering Heights. Seriously, who’s with us?! Editor’s Note: Rest assured, we were only kidding about the aforementioned staffing decisions. Question: Top 10 authors who deserve more recognition? Answer: At this point in our reading endeavors we’re very loyal to the reading list produced by the BBC’s Big Read campaign. Needless to say, most of these authors aren’t struggling with name recognition, although we did try to avoid some of the really BIG names. While you may recognize some of the below authors, we believe they deserve even more recognition. Links to our reviews are highlighted. The wait is over... BOOK BLOGGING VIDEOS has finally arrived! We’re not promising anything with our video and we’re fairly confident no new achievements in cinematography have been achieved. In fact, we’re hoping we didn’t embarrass ourselves too badly. Enjoy the train wreck, as we review (in our own way) - The Other Boleyn Girl by Philippa Gregory. Question: If you could physically put yourself into a book or series... which one would it be and why? Answer: This is easy! If we could absolutely pick only 1 book or series, it would be The Hobbit / Lord of the Rings. The world is endlessly vivid and there are so many amazing things to discover. Ideally, our visit would not coincide with the height of Lord Sauron’s reign. We’d love to visit the Shire and Rivendell! Question: Five book related silly facts about you. Don’t forget to check back on Monday when we officially kick off BOOK BLOGGING VIDEOS! An epic new meme where Vloggers can share their video reviews!!! “My name is immaterial,” she said. “That’s a pretty name,” said Racewind. Why: This absolutely kills us to admit, but we… Wow, this is more difficult than we thought... We just don’t get what all the hoopla’s about. Yes, it’s hilarious that The Color of Magic is set on a disk balanced on the back of three elephants, all balancing on a giant turtle. And the footnote technique utilized is almost always funny, but… We may very well be the only 2 people within the literary fantasy community that didn’t like this book, which is just bizarre considering only one of us has actually read the novel. Okay, we’ll stop apologizing for our tastes. On the surface, The Color of Magic seemed like a literary match made in heaven. We envisioned long walks on the beach together and late night rendezvous under the bed covers (with the lights on). This novel has everything: Wizards with questionable talents, upside-down mountain ranges and heroic enchanted luggage trunks. Even Zephyrus, one of the gods controlling the fate of the main characters is a hoot considering that he holds the power over slight breezes. Unfortunately for us, the honeymoon only lasted halfway through page 14. For whatever reason we got lost in the overly zany plot and the humor missed its target. All that being said, we’re determined to press ahead. 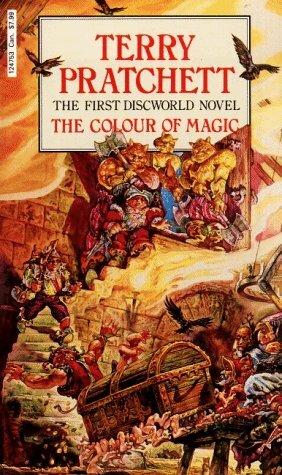 Terry Pratchett’s written close to a zillion novels about the Discworld and maybe our second visit will be the charm. Plus we’ve already committed to reading Mort in the 2nd challenge. Editor’s Note: Our European reader’s should please be aware that this review is actually referring to The Colour of Magic. Sorry for any confusion. Next Monday we’ll post our first ever video book review and we’d love to see yours too! We’ll include a Linky with the post and plan to run this feature biweekly. Sound fun? or no way, no how? 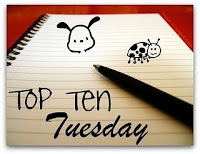 Blog Hop – Do you read only one book at a time, or do you have several going at once? The Pickwick Papers – MP3 while getting ready for work in the morning. Jonathan Strange and Mr. Norrell – Book on CD while driving to and from work. The Wonderful Wizard of Oz – Nightly bedtime story read with 5 year old son. The Hole in Our Gospel – Night time spiritual growth read. Titan Groan – Night time fiction read. Follow Friday – How did you come up with your blog name? Answer: Our blog name was decided during a late night internet search of book terms. Our hope was to incorporate the term Bibliophile (love of books) into our name; however most variants were already taken. This led us down a dark path of book obsession terms. In the end we decided against Bibliophagy (book-eating) and Bibliotaphy (book-burying). At the very least Two Bibliomaniacs confronts our slight (yet very healthy) book collecting obsession. Why: It’s no secret that Ulysses has been having his way with us over the past month. Today however; let the joyous news be spread, the wicked old witch at last is dead!!! Two months ago, in our considerable naivety, we committed to undertake the oft esteemed Ulysses. While this turned out to be the most troublesome read of our short literary endeavors, we owe a debt of gratitude to Fizzy Thoughts for hosting this painful event. Had it not been for the accountability of a few other brave readers, we’d never have made it across the finish line. Thoughts of abandonment tempted us throughout, yet in the end we are proud of our accomplishment. Not entirely sure what we accomplished, but at least it’s out there. Our thoughts on the final check-in (Part 3 of the novel) are pretty much the same as before. If Mr. Bloom or Stephen ever invited us on a night out on the town, we’d decline on the spot. Actually, if either Mr. Bloom or Stephen’s phone numbers appeared on our caller ID, we’d ignore the call and leave town immediately. Part 3 contained more incoherent ramblings as the characters retreated back to Mr. Bloom’s house after a night of debauchery, paranoia, and hallucinations (at one point a Hobgoblin made an appearance, which was awesome). Episode 17 should be highlighted for its uniqueness, considering the entire narrative was written in the form of questions and answers. And then there was Episode 18 – Stream-of-Consciousness in its most evil form. No punctuation. No coherent thought. No way we’re reading anything authored by James Joyce ever again. Throughout the novel, the question on the table has been James Joyce – Insane or Genius? Our response is, YES – followed by a few other additives that are unfit for this blog. Ulysses was an exercise in anger management, perseverance, and lunacy. Honestly, we’re just ready to be done. Good riddance! Answer: It turns out that choosing a hypothetical family from the world of literature is much harder than it sounds. For your convenience, we’ve included links to any of the below novels we’ve reviewed. Atticus (To Kill a Mockingbird) – Atticus is the greatest dad in all of literature. We imagine Atticus will make quite a few lists today, so if he’s already overcommitted, we’d consider him for some kind of mentor role instead. Molly Weasley (Harry Potter series) – Okay, she’s a little overprotective, but when it comes to fighting for her family, few can compare. Her magical skills would always keep housework interesting and as long as her listening to Celestina Warbeck could be minimized, she’d make a great mom. Also, we’d have to respectfully decline any homemade sweaters. Bilbo (The Hobbit) – We can’t think of anything more exciting than heading over to Grandpa Baggins house and hearing his exciting tales. Frodo would be another cool grandpa, except we can’t picture Elijah Wood aging. We also think Bilbo might be a little more sufficient in the storytelling department. Agnes (David Copperfield) – We’ve read about her considerable work as a loyal friend and daughter, we can only imagine how great she’d be as a sister. Firedrake (Dragon Rider) – Most families would be content with a dog, a cat, or a few fish, but personally, we’d prefer a dragon. Firedrake would be perfect - good with children, high marks for home defense, and a convenient alternative to airline travel. Jo (Little Women) – Jo is a proven great sister. She’d be fun to have around the house and we’d always be anxious to read her next literary endeavor. Plus if necessary, she’d sacrifice her hair for the family. The Walker children (Swallows and Amazons) – Actually, if it’s agreeable with all parties, we’d just assume enter into the walker family. Specifically, we want to go on one of their adventures to Wildcat Island. We’d be willing to put up significant collateral for this privilege. Charlie (Charlie and the Chocolate Factory) – Charlie has many wonderful attributes, however it’s impossible to ignore the fact that he recently inherited a chocolate factory. Having the heir to a chocolate empire in your family could cause some tension, so we’d settle for his second cousin once removed. Close enough that we’d be allowed to pop in every now and again to replenish our stash. Jeeves (Very good, Jeeves) – Not sure if we’re allowed to include a family butler, but Jeeves would be downright helpful in a pinch. Ben (Magic Kingdom for Sale - SOLD!) – While the lack of modern amenities associated with castle living would prevent us from taking up any kind of permanent residence here, it would be super cool to spend a long weekend with Uncle Ben at his Landover estate. Question: "If I gave you £50 (or $80) and sent you into a bookshop right now, what would be in your basket when you finally staggered to the till?" Answer: For us, this question is easy. We’d drop everything (including our parental responsibilities) and head to our favorite used book store. For us the issue is more about what’s available on the shelves. We have a list of our favorite books and if we could somehow manage to come across a dream used bookstore with unlimited inventory, our shopping cart would be filled with the following hardcover novels: Ender’s Game, Matilda, The Count of Monte Cristo, Catch-22, Never Let Me Go, Swallows and Amazons, Atlas Shrugged, Very good, Jeeves, Bridge to Teribithia, The Well of Lost Plots, and Persuasion. These titles represent the best of what we don’t already have in our personal library and we’d be willing to contribute to the pot of money if necessary! Soooo, not to sound presumptuous, but is the money coming in the mail, or what? Question: Who are You the Boy/Girl, instead of You the Blogger? Answer: Two Bibliomaniacs is the brain child of two married thirty somethings from the great state of northeast Indiana. We (Evan and Erin) have been married for 10.5-ish years and have two young children. We love Jesus, each other, and our kids, and are currently nursing a minor addiction to “Lost” and “Parks and Recreation”. Yea, we’re kind of late to the game, but with the help of Netflix, we can boldly proclaim, “it’s better late than never”. Oh, and we also like to read. Everything else you need to know about us (or everything else we’re willing to reveal) is captured on this important (and not very well executed) PSA. Click anywhere on this sentence to watch the video. Thanks to Crazy-For-Books and Parajunkee’s View for hosting these fun events. Why: If you couldn’t already tell from our somber facial expressions, we’ve got some major issues to discuss in this post. 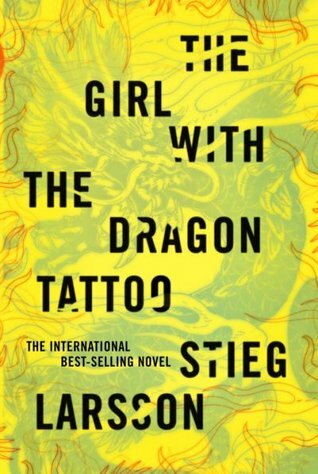 For the past few months we’ve tried to get swept into the hype associated with The Girl with the Dragon Tattoo. 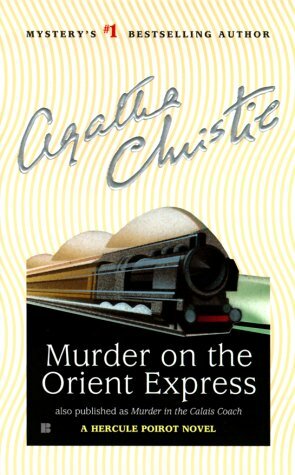 And with all the excitement surrounding the novel, this wasn’t difficult. We were impatiently waiting to watch the Swedish film adaptation and follow the latest casting drama surrounding the American remake. Hopefully by now you can see the HUGE hole in our master plan. We kind of assumed that the novel would deliver on its hype... oops. We’ll try not to get ourselves all worked up in this review, but at this point, we’re not making any promises. Just so everyone’s clear, The Girl with the Dragon Tattoo follows the exploits of a hard hitting journalist recently convicted of libel against a corrupt Gazillionaire industrialist. Discredited and humiliated, Mikael Blomkvist agrees to take on a unique assignment writing a family biography while at the same time investigating a questionable missing persons case from 40 years earlier. It doesn’t take long before Blomkvist solicits the help of an eccentric and hardened female who happens to possess a Dragon Tattoo. Together, the pair expose plenty of skeletons and encounter more than one life threatening exchange. Okay, onto our thoughts... When reading a novel, there are a few “nice to haves”. Most importantly, we need to actually like the main characters, or at the very least, understand their motivation. For all the back story given to many of the corporations and their CEO’s, couldn’t a little more time have been spent explaining why Blomkvist felt the need to be a self proclaimed horrible father? Also, it would have been nice to know why Lisbeth (the girl with the dragon tattoo) has a gigantic bag of Doritos attached to her shoulder. We’re given some clues, but very little prior to her encounter with that slime ball, Bjurman (maybe more to come in book 2 & 3???). We also want to know why she has zero concern for anyone’s privacy. Both characters felt zero remorse for any of the carnage left in their world-beating wake. We also have some major issues with the anticlimactic bad guy car chase scene near the end. Really, why all the build up if things are just going to end like that??? Our final issue with the novel was the blasé attitude towards relationships and intimacy. Everyone’s perfectly comfortable sleeping with everyone else. It doesn’t matter if adults in question are married or even if children are involved – everyone and everything is fair game (okay, maybe not everything). Impressions for this third section? Pain. Pain and suffering. We’ve tried to remain optimistic and have found some comfort in the fact that the reader isn’t supposed to understand Ulysses. 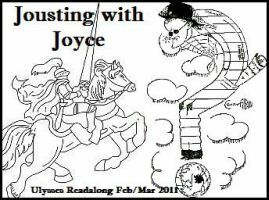 Why James Joyce? Why? Special thanks to our friend Lisa who recommended some very interesting resources. Still, our head is about to explode. Okay, back to the reading... hopefully we’ll emerge next week with a smile on our face. No guarantees. Question: Top 10 Dynamic Duos. Answer: We’ve been waiting all week to get our hands on this topic. Yes, it’s only Tuesday, but it already feels like if should be closer to Thursday. Anyway, there are soooooo many great dynamic duos in literature, sadly, we can only highlight 10. Frodo and Sam (Lord of the Rings) – Few duos can boast a bond as dynamic as these two hobbits. Together they destroyed the ring of power and helped defeat the Dark Lord Sauron in an epic struggle for Middle-earth. Sayuri and Mameha (Memoirs of a Geisha) – This pair was able to dethrone and humiliate one of the most arrogant and selfish Geisha we’ve ever read about. It’s impossible to say Hatsumomo without wanting to throw something across the room. Dirk and Al (Atlantis Found) – It’s literally impossible to count the times this pair saved the world. Whether their hanging out at the beach or in the midst of a gun battle against an army of Nazi extremists, they never miss an opportunity to employ a witty one liner. Mary and Dickon (The Secret Garden) – Together this duo could have easily hosted a successful HGTV show. We’re thinking “Fix and Flip your Garden”. These green thumbs also cured one of the most disagreeable personalities in all of literature. Katniss and Peeta (The Hunger Gmaes) – In our humble opinion, any pair skilled enough to survive a single, last person standing death match should be commended. Artemis and Holly (Artemis Fowl) – One of the few times a child criminal mastermind and elite LEPrechon elf have teamed up to become a highly effective FTBRW (Force To Be Reckoned With). "I'm going to make an animal out of you, my boy!" The Wind in the Willows tells of the exploits of Mole, Ratty, Mr. Toad, and several other unique animals. Their adventures together are as infamous as Mr. Toad is vain. Actually, most of the exploits are centered on Mr. Toad’s wildly eccentric behavior. What else would you expect from an amphibian with a fascination for automobiles and speed? One in such circumstances can only hope to have as caring and thoughtful friends as Mole and Ratty. Plus, all’s well that ends well, right? Not that this novel ends well... although we’re not saying it doesn’t either. In spite of its acclaim, we were only mildly impressed by The Wind in the Willows. Is it bad that we wanted Toad to suffer a little more retribution? Maybe that says something about us (oh, who are we kidding, of course it says something about us). Don’t get us wrong, this novel is definitely above average, but we were just hoping our emotions would be poked and prodded a little more. The characters were great and the moral lessons are worthy. Who knew there are so many rules that govern the animal world? 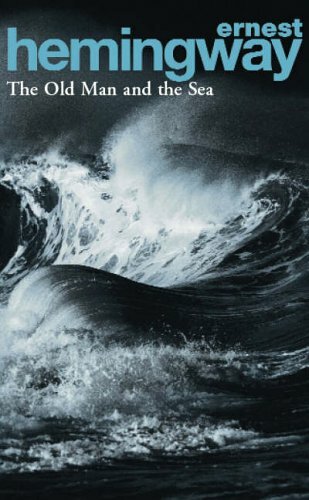 We’re curious to hear what others thought of this novel, especially those who read it in their youth. Blog Hop – Who’s your all-time favorite book villain? We here at Two Bibliomaniacs love to hate our book villains – the nastier the better. We do however, like to see our villains defeated in the end... It’s impossible for us to sort through the nastiest of the nastiest, so below you fill find our top 5 least desirable people to encounter in a dark alley (in random order). We can’t wait to see the all the other nasties that we forgot, so leave a comment so we can visit your blog!!! As always, thanks to Crazy-For-Books for hosting this fun event.